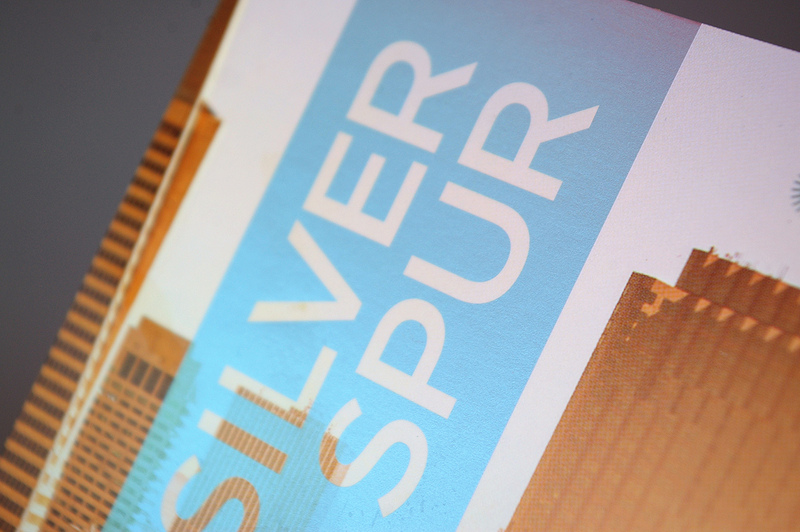 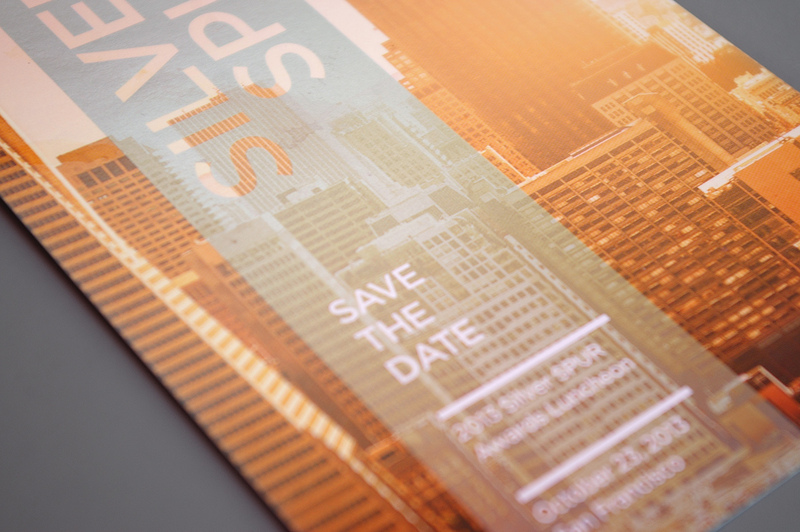 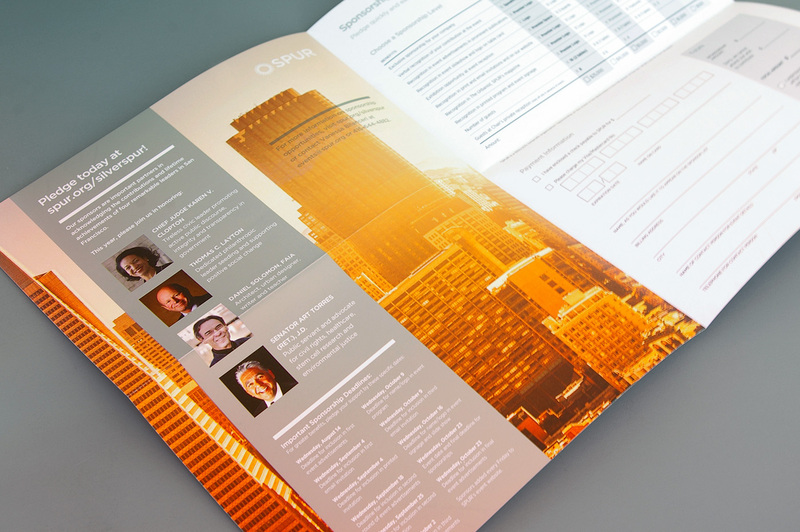 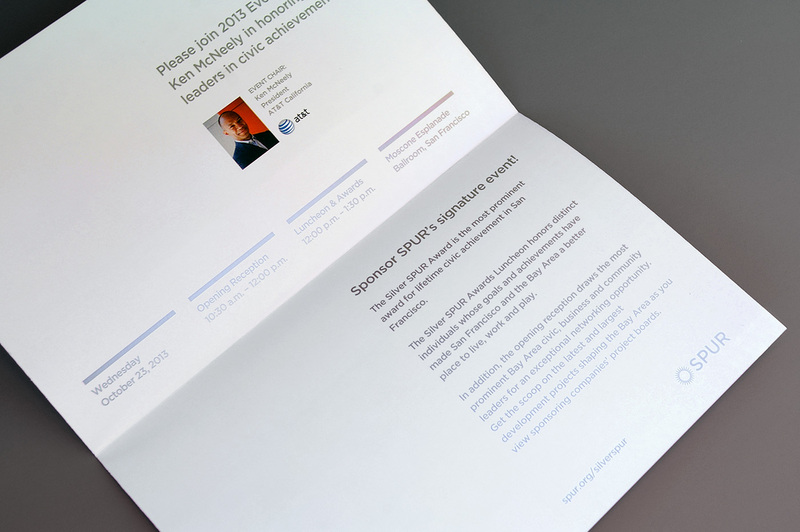 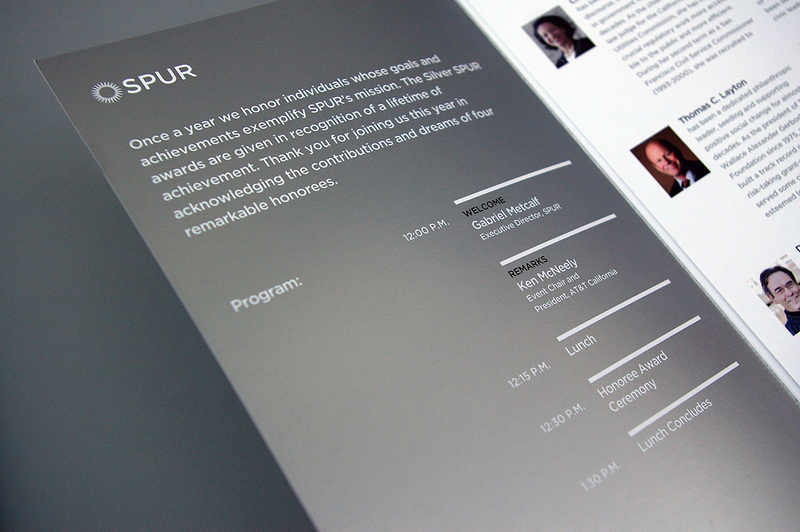 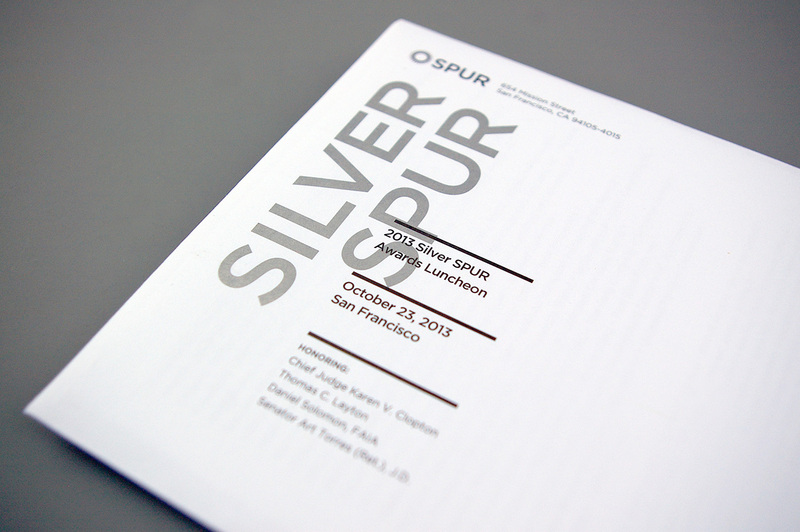 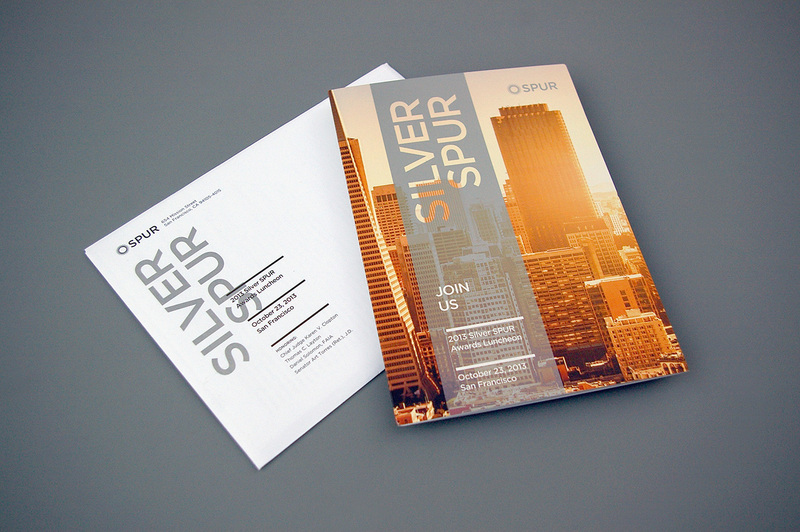 A couple of many printed pieces for SPUR’s annual awards event. 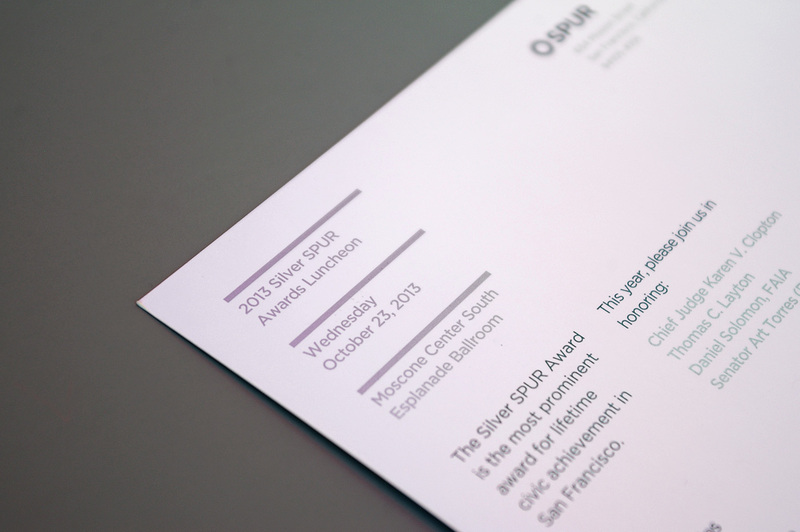 We seized on the opportunity to use silver ink, to highlight the name, but also to achieve the request to make it feel more high-end and fancier than some of their other pieces. 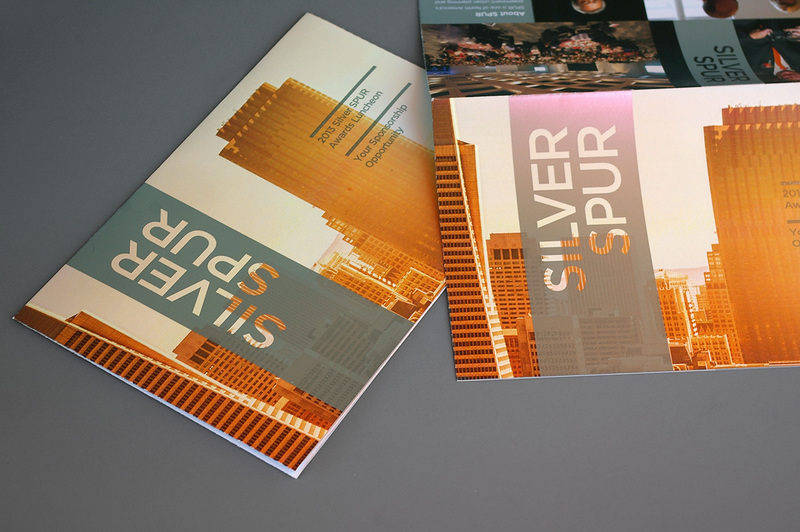 Not only did we use a silver spot ink, we made it a challenge for our poor printer (PacFul) by having the image overprint the metallic ink, for a translucent effect.